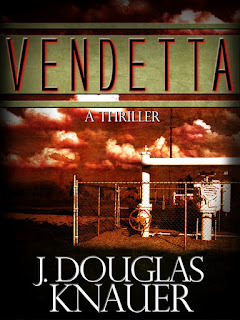 “Vendetta” by J. Douglas Knauer receives 5-Star review from Brandon Awbrey: "Great thriller! 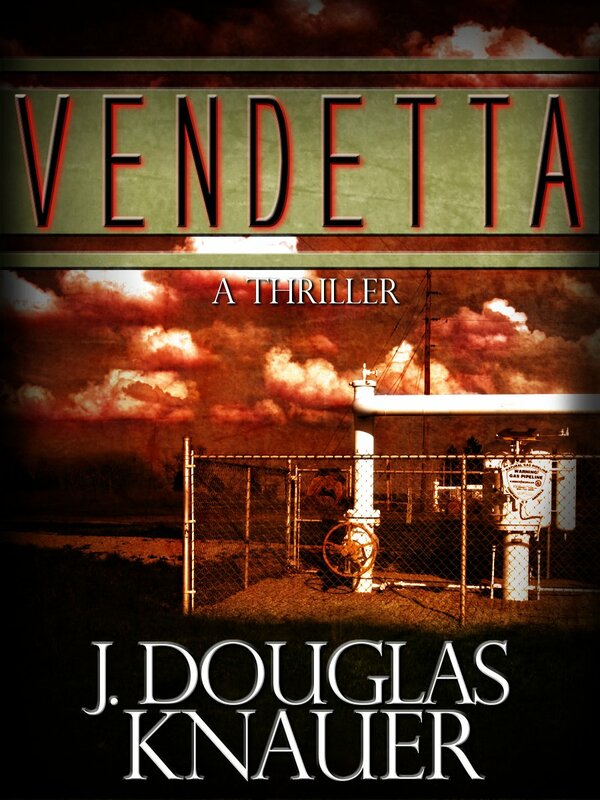 An interesting thriller with deep layers of conspiracy. 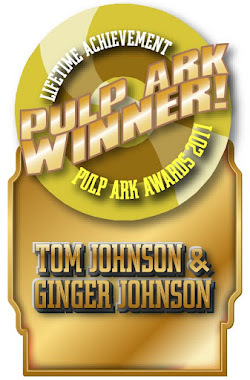 One man's horrible childhood experience leads him to seek the ultimate revenge, no matter the cost. Complex and well written, hope to see more from this author." 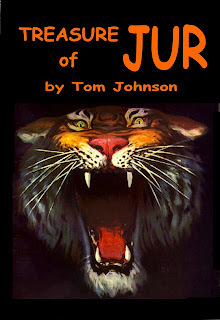 Tom Johnson’s “Treasure of Jur”, the 5th novel in the popular Jur saga. Nazi Germany has found a time portal giving them access to the treasures of a prehistoric land. But even with superior weapons, Hitler’s supermen may not win through to the ultimate prize. 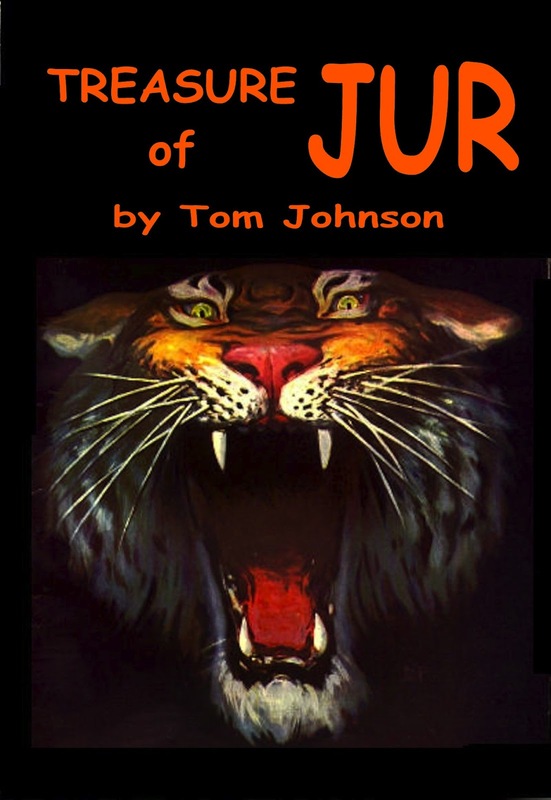 Jungle excitement and thrills await the reader in this current tale of greed and murder in a savage pre-dawn world. Now available on Amazon Kindle for $2.99. 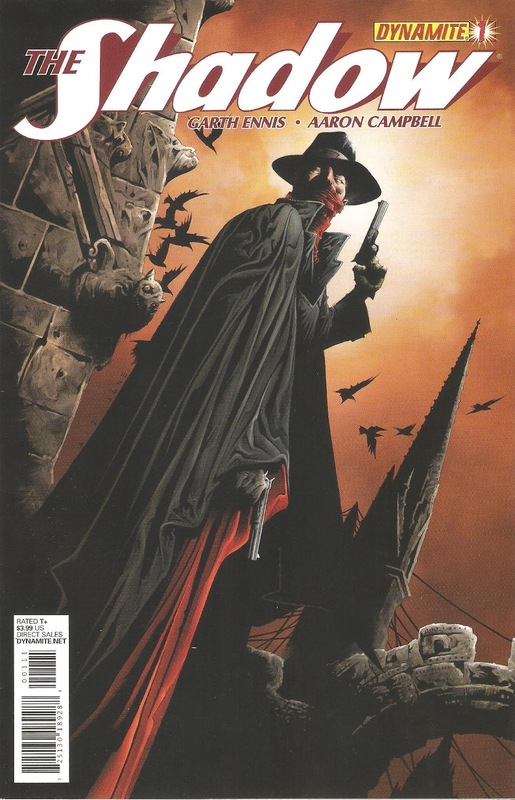 After receiving - and reading - the long awaited 1st issue of the new Shadow series from Dynamite comics, I am again disappointed in the portrayal of Walter Gibson's creation. The comic book has a cover price of $3.99, and contains 36 pages counting front and back cover. There is 22 pages of Shadow story, plus the cover for a total of 23 pages, then 13 pages of advertisements for Dynamite's other comics. In fact, the center pages are devoted to a two-page advertisement for Dynamite's Prophesy. Again, the buyer should feel cheated that this wasn't a two-page spread for The Shadow instead! Seems to me the buyer is paying for their advertisements, and getting very little story for the price. The artwork is good, and The Shadow looks okay, but Lamont Cranston and Margo Lane do not capture the familiar images from the pulps. Nor does the dialog. Yes, The Shadow blurts "The Weed of Crime", etc., but his foolish dialog while shooting crooks is not like the character, but belongs to the modern sensibilities I suppose. Margo Lane seems to merely be a sexual companion for Lamont Cranston. Except for the costume and name, this could have been a modern comic book set in the 1930s or '40s. The cover of my copy is the one with bats in the background. I suppose to connect the image to Batman. My personal opinion? 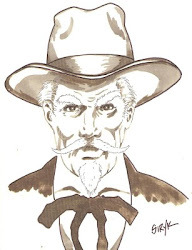 Forget this version of The Shadow. At the price, we deserve much more than this. When you’re in love, you can’t worry your lover by telling him that men are chasing you and killing people in their path. A continent away, your lover’s situation is no less dire. He can’t reach you to warn you to hide from possible danger, and he won’t tell you that since his plane landed at O’Hare in Chicago, he was kidnapped and is under threat of death from a former friend he helped bury back in Iran. Those situations have spun Ava Sevani’s and David Badalian’s lives out of control. What they don’t know is that Ava’s former lover, Dirk Brown, a pipeline tycoon, is also Homeland Security’s most wanted mercenary, known simply as Nail. Brown/Nail wants Dr. Badalian to relieve his chronic pain from a spinal injury…before he kills him to get Ava back, along with her father’s deadly formula. Nail lives with debilitating pain and a manic vendetta to rid the world of the Republic of Islam, where his mother was stoned to death when he was a teen. But he wants the world to do the job for him. For that to happen, he has to give them a good reason. Gutting the Heartland by exploding pipeline pump stations using nano-technology that bears an Iranian logo, then placing the poison chemical into municipal water systems, might do the trick.